25/03/19 – Bramcote will benefit from £120,000 worth of park improvements thanks to a £50,000 grant from WREN’s FCC Community Action Fund and £70,000 from Broxtowe Borough Council. The funding has been secured to help improve King George V Park, Bramcote. 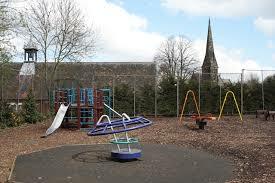 The funding will include a new outdoor fitness area and a brand new, state of the art play area. The improvements, at King George V Park will include a new outdoor fitness and brand new, state of the art play area. Local residents were asked last year what type of facilities they would like to see on site and this feedback has helped shape plans which will be displayed on site shortly when they have been finalised. For more information about WREN funding contact Cheryl Raynor at cheryl.raynor@wren.org.uk or visit the WREN website. Good news. A project that has always had all party support at Broxtowe. Excellent work by officers in securing the WREN funding. Stapleford Community Group have also worked hard with Officers of Broxtowe Borough Council and had funding for Ilkeston Road Recreation Ground, Pasture Road Recreation Ground and also with the support of Stapleford Town Football Club we will soon see improvements to Hickings Lane Recreation Ground here in Stapleford following the Public Consultations that Stapleford Community Group held on both Hickings Lane and at Stapleford Carnival last year.